With the end of the year fast approaching (can you believe it! ), it’s only natural for thoughts to turn what you want from next year. If, for you, that means moving to the United States, 2019 could be the year. With the United States in the news every day, and not always for the brightest reasons, you might be wondering whether this is the right choice for you and your family. However, experts are predicting good things for those who want to buy property in the USA in 2019 and 2020. 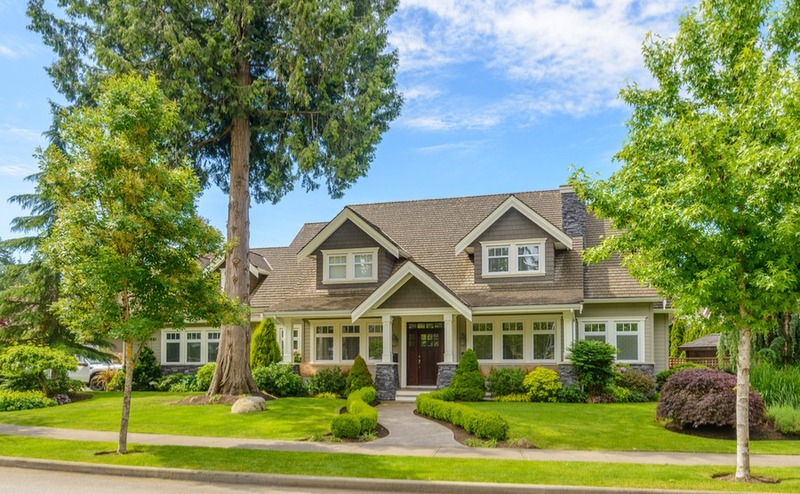 There are rumours of the country experiencing a buyer’s market in the not too distant future, even in highly in-demand areas such as Los Angeles, the San Francisco Bay Area and San Diego. In order to assist you in making an informed decision about whether or not to take the leap, today we’re running through 6 great reasons to buy property in the USA in 2019. 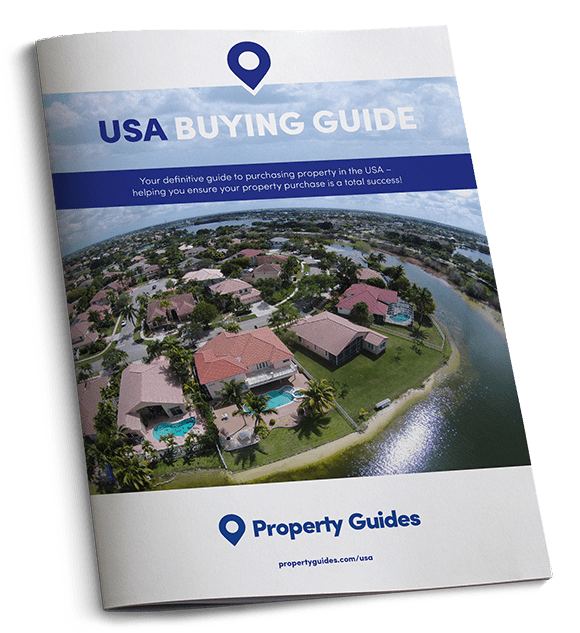 When deciding whether to buy property in the USA, it’s always important to study how the economy is performing and how it looks set to continue performing in the years to come. Currently, economists are very pleased with how things are going and predict that this healthy performance is set to continue in 2019. The strong economy is fuelled by new career opportunities, high employment levels, lower taxes and an increase in positions that pay handsomely. A healthy economy translates into good things for the property market, so what are you waiting for? For anyone looking to buy property in the USA in 2019, there are opportunities aplenty. While a buyer’s market is predicted to be loitering on the horizon, the last couple of years have been a completely different story. Strong demand for properties and low inventory has been pushing US property prices up. However, this looks set to change in 2019. Construction of new properties, including family homes and multi-family developments, is due to accelerate into full swing in the coming year. There is a considerable amount of new property being built in Florida, Nevada, Arizona and California. The state of Texas in particular, is expected to see the highest volume construction, which is good news if Austin, Dallas or Houston are high on your list…and they should be given the tourist footfall, job opportunities, and high population of people looking to rent. Elsewhere, there is a considerable amount of new property being built in Florida, Nevada, Arizona and California. Never one to turn away those with money in their pockets, the US is set to remain incredibly welcoming to foreign property investors from places like the UK, Canada, China and Singapore as we move forward. Therefore, if you want to buy property in the USA as an investment, 2019 is a good time to act. Obviously, the staple favourites like New York City, San Francisco and Boston, are top choice for investors if money is no object. However, you don’t have to be dealing in the tens of millions to buy property in the USA. There are a range of excellent opportunities for you to capitalise on where prices are low, rental yields are high and there are great tax advantages specifically for foreign investors, in Miami for example. If you are most interested in renting out your USA property to professionals and millennials, cities like Atlanta, Chicago and Washington DC are perfect choices. This is because you are guaranteed to find tenants willing to part with decent monthly rental sums ensuring quick and effective return on investment. Currently, Phoenix in Arizona is attracting a lot of attention for its low taxes and its fair yet competitive business environment. This in turn, is attracting a surge in millennials who want to rent descending on the up and coming city. 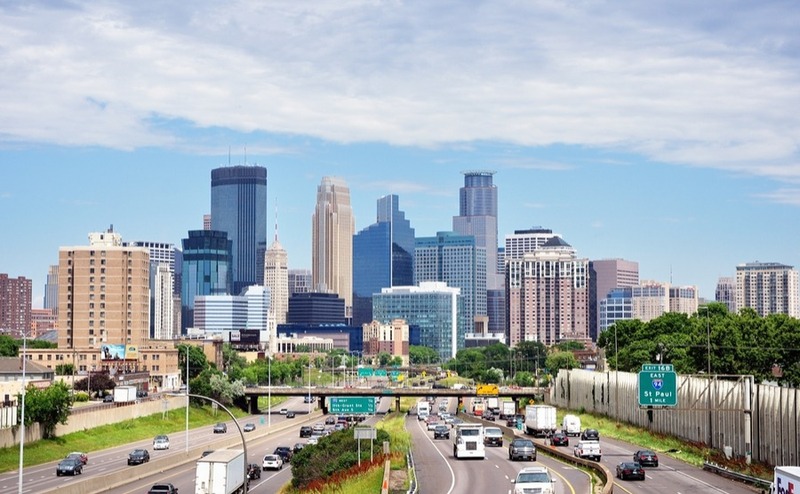 Also, while Minneapolis might not yet be on your radar, it presents a fantastic opportunity for foreign investors and those wanting to buy property in the USA moving into 2019 and beyond. At present, Minnesota boasts the lowest amount of empty property anywhere in the entire United States. Plus, the population has many well paid employees from the 18 Fortune 500 companies that call the city home. Furthermore, Minneapolis is expected to boom in the coming years. Therefore, buying here now before the whole world catches on could be just the shrewd investment move you’ve been searching for. Another top investment tip for 2019 in the USA is Downtown LA. While once a little tired, run-down and maybe a touch dangerous, the announcement that Downtown LA will host the 2028 Olympic Games means that it’s experiencing quite the revolution. If ever in doubt, follow in the footsteps of the world’s leading tech companies, who are snapping up property in this corner of the city as fast as it can come on the market. Have a read of our expert guide, How to Negotiate Abroad, to get expert tips from insiders on getting the best price when dealing with estate agents. In addition to attracting rental income from professionals, owning in this corner of Los Angeles would also be a real winner for tourist footfall, if your plan when you buy property in the USA is to rent out to holidaymakers. Downtown LA is just half an hour from Disney and Universal Studios and is right on the doorstep of attractions like LA’s Museum of Contemporary Art, the Grammy Museum and the original Los Angeles Flower Market. If you’re in the market for serious bargains (and who isn’t!) the USA is a great low-cost option for 2019. According to leading property website Zillow, the median value of property in the United States is currently $221,500, and the median price of homes that are sold is $225,700. In contrast, the average cost of property across the UK currently stands at £226,906. A considerable saving! Additionally, the amount of space that you can secure for your money in the USA remains far superior to many areas of the UK. 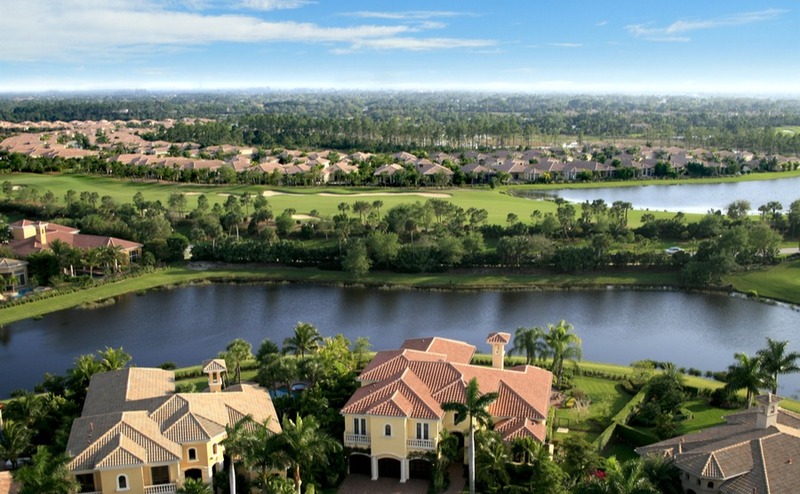 Florida’s gated communities can be surprisingly affordable places for UK buyers to purchase property in the USA in 2019. Many of our readers looking to buy property in the USA have their sights firmly set on Florida. Currently, the average cost of property in The Sunshine State is $228,700 and the median price per square foot is $166. This means that it’s perfectly possible to buy a five-bedroom home, close to the most popular Florida tourist attractions, complete with your own swimming pool for as little as £250,000. Also, these properties tend to be in gated-communities with golf courses, tennis courts, fitness centres and restaurants and bars on-site too. Orlando, Jackson, Tampa and St Petersburg are all great choices for investors with their hearts set on Florida. It’s perfectly possible to buy a five-bedroom house in Florida for as little as £250,000. Other great options for those in the market for low cost property that offers good return on investment include Atlanta (Georgia), Boise (Idaho) and Nashville (Tennessee). Columbus in Ohio has a median list price of $163,840 but a comparatively high median rental rate of $1,162 per month. Nearby Cleveland is another sensible choice for investors. The pound/dollar exchange rate never stops moving, even in the short time between putting in an offer on a house and paying. Find out how to avoid this by fixing an exchange rate in the Property Buyers’ Guide to Currency. If you plan to buy property in the USA specifically to rent out to holiday makers, it’s important to consider where the tourists are, and where they will be in the years to come. Fortunately, places like Orlando in Florida never really go out of fashion. Elsewhere, Seattle in Washington was just named on the Top 10 Cities in the world to visit in 2019 by Lonely Planet. Houston in Texas is one of Lonely Planet’s best value destinations. Given the property markets in both cities are presently performing very well, things only look set to go from strength-to-strength for these destinations. While once many of the USA’s best options for buying property revolved around the major cities and tourist attractions, now the market presents a whole range of fantastic choices in so-called ‘second cities’ and their surrounding suburbs. This makes buying property in the USA accessible to more folk. With sky high prices in places like New York, Chicago and LA, many people are mobilising and opting to relocate to lesser-known locations where they can secure more for their money, and enjoy a less stressful way of life. US Census Bureau statistics from the last couple of years show considerable evidence of a second-city suburban shift. In both 2016 and 2017, 2.6 million people moved from America’s principal cities to their surrounding suburbs. This is good news for those of you wanting to buy property in the US. You’ll be able to benefit from more affordable property options in a wider choice of locations that are experiencing population growth and therefore present a sensible investment choice.